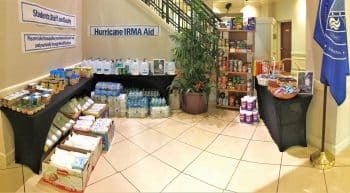 The Sarasota campus is collecting unused hurricane supplies for all KU students, faculty and staff still without power. The campus is collecting/receiving items for those in the KU community that are in need and they may pick up needed supplies at the campus. All unused supplies will be sent to our KU Ft. Myers campus as needed, or our local food bank. 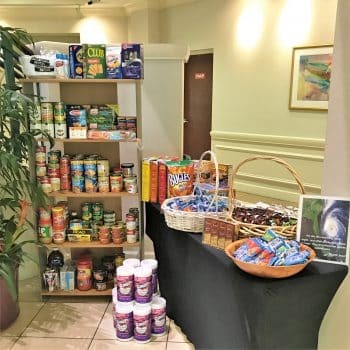 Items available are water, non-perishable food items, baby diapers (all sizes), pull-ups, baby wipes, baby food, baby formula, anti-bacterial wipes, and more.